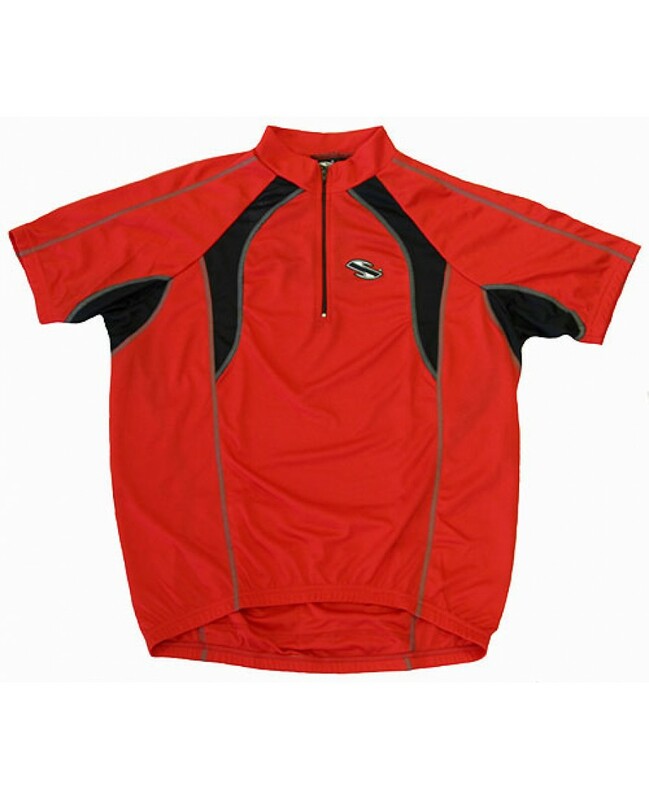 The eCycle Brexus Cycling Jersey Red is made out of Euro-Mesh 100% Polyester wicking fabric for full breathability. 8" front zipper. Elastic waist and cuffs. Rear pockets for storage. Black mesh panels for extra ventilation. Flatseam construction for comfort.